where are you going to put your exhibition collateral? How can you keep it safe until its next use? Here at Warrens Display we have over 325,000ft3 of our own warehouse space, giving our clients access to secure stand storage facilities, where your banners and any other exhibition equipment you have will be looked after ready for your next exhibition event. In addition to our exhibition storage services, we will also take care of the dismantling of your stand and transportation too if you require - leaving you free to take care of all the enquiries that your stand generated during the exhibition! Our large warehouses in London and Leeds enable us to take the hassle out of post-exhibition organisation; we can store and manage your equipment, providing you with your own dedicated space for complete peace of mind. When it's time for the next event, we'll bring your stand out of storage and deliver it on site for you, or return anything you require back to your offices at a pre-arranged time that's suitable to you. Our stand storage services are open to all; Warrens Display has a wealth of experience within the Graduate Recruitment market too. We know that this is a very busy and sometimes pressured time for the recruiter, so we're there to help relieve some stress by taking care of the storage and logistics of your stand and collateral, including delivery, set up and breakdown services. 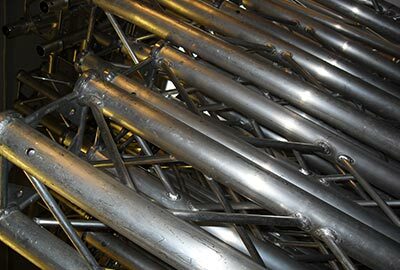 Whether you require assistance with just one show or if you have a varied program of events taking place globally, we have the experience and expertise to manage your exhibition storage requirements.